Making Your Future™ is a new initiative to help thousands of people find a career in manufacturing. The first step is awareness. Manufacturing is still one of the largest industries for employment in southwestern Pennsylvania and northern West Virginia, but few of the residents are aware of the variety of careers available for people of all experience levels and interests. In the Spring of 2017, a new website will be created that targets adults who would like to learn more about manufacturing career opportunities. The site will provide resources and links to other organizations that offer training, apprenticeships, and job search tools. Assessment tools and evaluations will be available to help visitors learn which careers match their capabilities and life goals. The site will also have information about local manufacturing companies and industry news to inform job seekers in the greater Pittsburgh region. 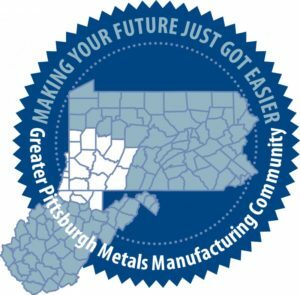 Making Your Future™ was developed by the Greater Pittsburgh Metals Manufacturing Community (a partnership of government, university, industry, workforce and economic development organizations). This initiative seeks to boost metals manufacturing businesses and jobs in a way that can support struggling companies and dislocated workers in the declining coal sector, consistent with the Administration’s POWER initiative. This partnership was designated by the U.S. Department of Commerce as one of twelve Investing in Manufacturing Communities Partnership (IMCP) regions across the country. Visit www.makingyourfuture.org for resources and information to assist job seekers, employers and supporters of manufacturing in this region!